Apopsis burlap pouches make life easier in a chic and effortless way. They are eco-friendly, hand cut , sewn and hand embroidered with cross stich technic. 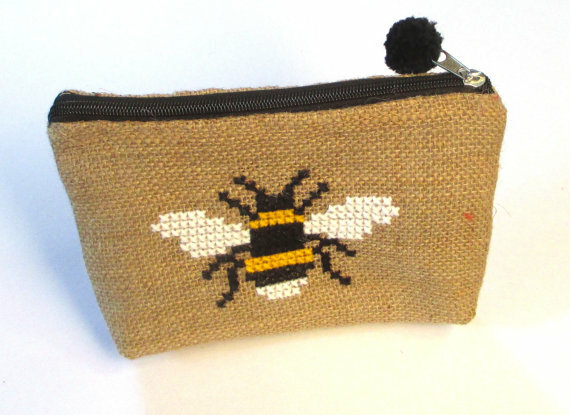 The pouch is reinforced with interfacing, is fully lined with beige and white dotted fabric, trimmed with black pom pom, zipper pull . 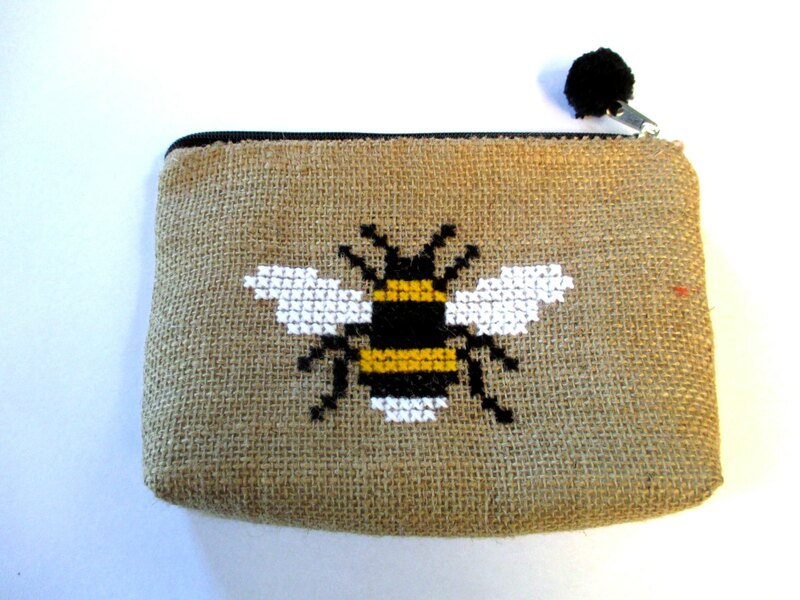 Its hand embroidered cross stitchwith a bee. Use this practical pouch as the perfect accessory for your daily life where you can store your all essentials ,money, cell phone, make up, and more. This small Burlap Pouch is the stylish answer to all your domestic and on-the-go needs. - All items are shipped by registered Post with delivery confirmation.